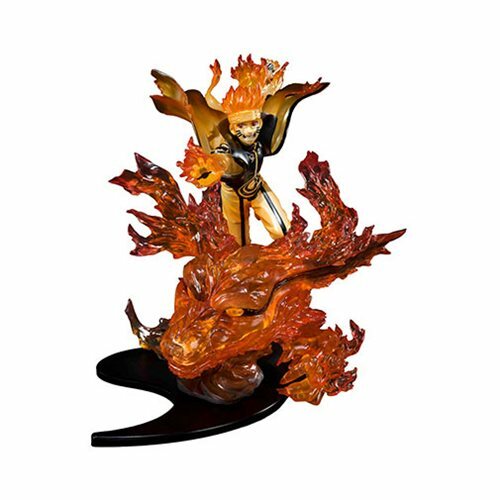 Based on the concept of kizuna -- friends and relationships -- from the Naruto series, the Naruto Shippuden Naruto Uzumaki Kurama Kizuna Relation FiguartsZERO Action Figure. The figure portrays a moment from the Naruto world, with detailed sculpting and effect parts designed to accentuate the drama! Measures about 8 3/10-inches tall. Ages 15 and up.